When observing option pricing, we should always remember that premiums, while certainly linked to reality, are somewhat of an imperfect predictive tool. Option prices attempt to forecast movement in equities or indices for a given period into the future, but they are unlikely to be entirely correct in the end. For example, S&P TSX60 Index options may be forecasting 1% of daily movement in markets, but we won’t know the accuracy of that prediction until the period is over. A real-world example of this would be how an insurance company will assess damage risk when pricing home insurance. They may assume, across a sample of 500 policies, that there will be $500,000 in payable claims. If they can price the rates on those policies at an assumed $800,000 in claims, they will likely come out on top (receive $800,000 and pay out $500,000). These are very educated guesses and over time they’ve become quite good at it. Sellers of S&P TSX60 Index option premiums have also become quite good at this game. When we look at a standard distribution of index outcomes, we see that a standard deviation of 1 suggests that 68.2% of the time, the index will trade within a certain range (e.g. up or down 1% per day, as per what option implied volatility would suggest). Therefore, this also means that options are saying that 31.8% of the time, the index should trade outside of this range. 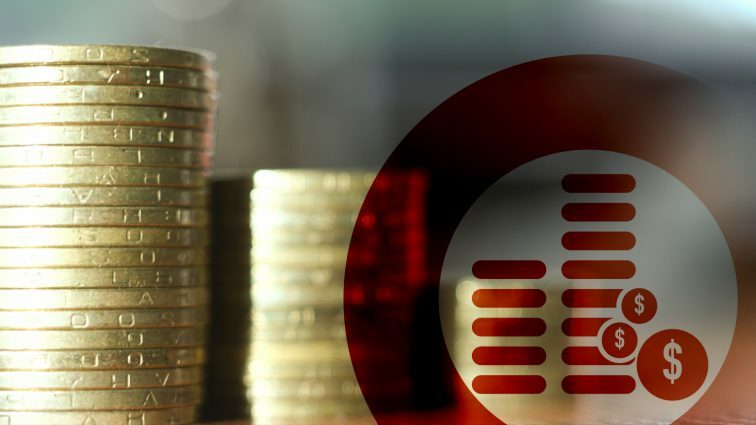 A study by Société Générale (SocGen), accounting for a sample of market movement dating back to 1990, has suggested that equities have in fact remained within their suggested range a much higher percentage of the time. In fact, they’ve remained more range-bound 84.9% of the time, instead of an option implied 68.2%. In other words, they’ve traded outside this range much less of the time than equity index options have suggested they would. This suggests that options have been overpriced by a great amount for the past 28 years. 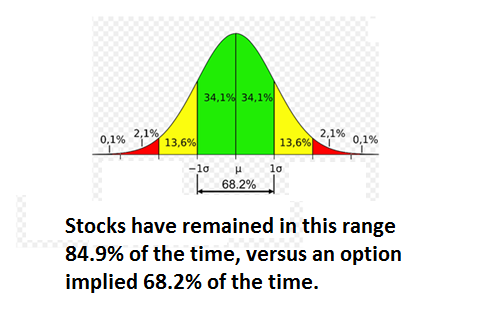 While options have suggested the index may move outside a standard deviation range 31.8% of the time, the fact is that this has occurred only 15.1% of the time. The “insurance company” is pricing policies that expect about double the number of claims than have in fact been made. Selling insurance for double the fair value based on 28 years of risk outcomes? It’s a good business to be in. Source: SocGen/Horizons ETFs, August 2018.